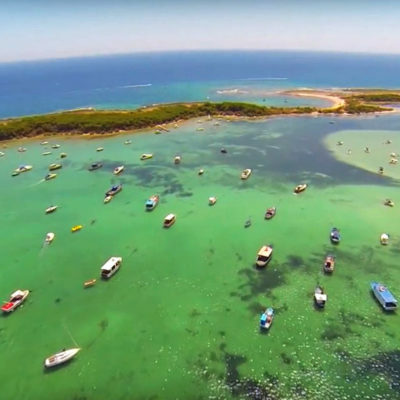 Porto Cesareo ( pronounce Porto Cesareo , Cisaria in Salento dialect ) And an Italian town of 5,930 inhabitants [ 1 ] of the province of Lecce in Puglia . 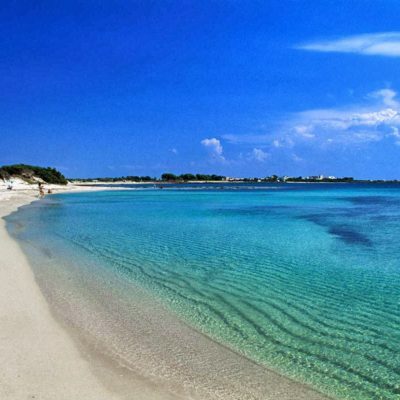 Resort town of Salento situated along the Ionian coast of Salento peninsula, is 26.9 kilometers from the provincial capital [ 2 ] and the Area and marine natural protected site of Porto Cesareo and the Natural Reserve Regional Marsh Conte and Duna Coast. 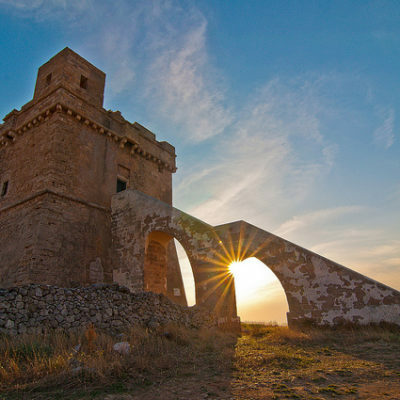 Torre Castiglione , built around 1568 and located in an uninhabited area of the coast between Torre Lapillo and Torre Colimena , in the municipality of Porto Cesareo , is among the lesser known of the defensive system consists of coastal watchtowers wanted by Charles V to counter the frequent raids of Turkish pirates in Salento . Of this tower remain today only ruins . It is a wonderful soft white sand beach, characterized by a long- edged blinding coast by impressive dune formations and dense shrub vegetation , dominated at one end by the impressive coastal tower . Turquoise, crystal and an extraordinary transparency , with sandy bottoms and downs . The beach is well equipped and offers many amenities and tourist facilities nearby.